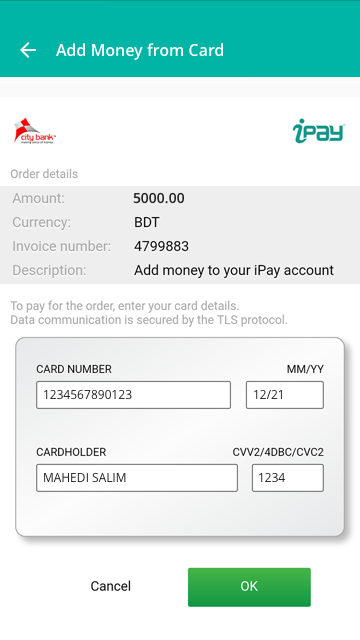 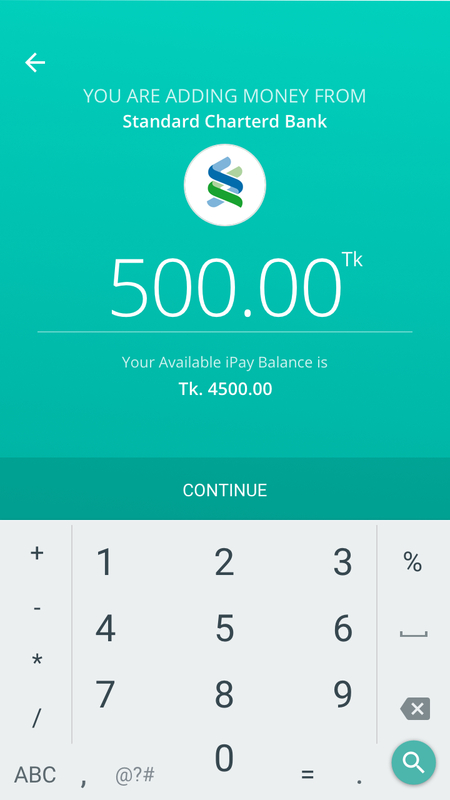 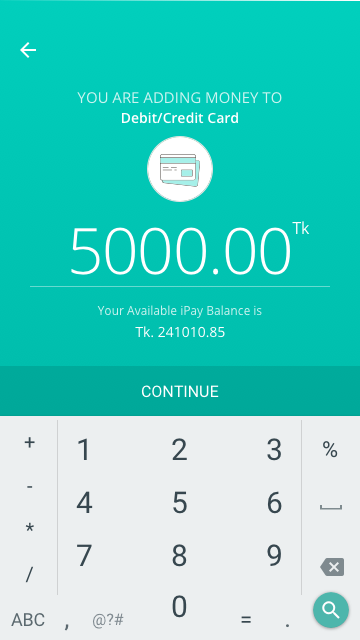 Add Money | iPay Bangladesh: A free e-wallet & secure payment platform. 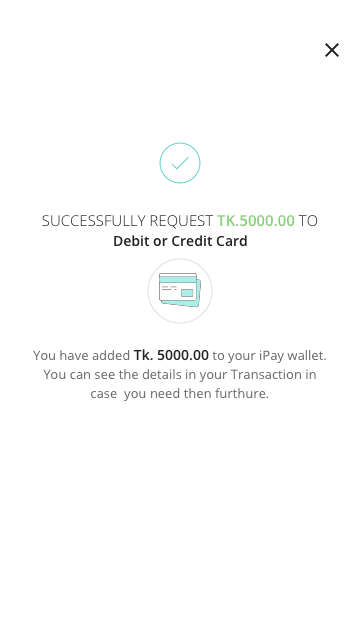 To make any type of transactions you need money to your iPay wallet. 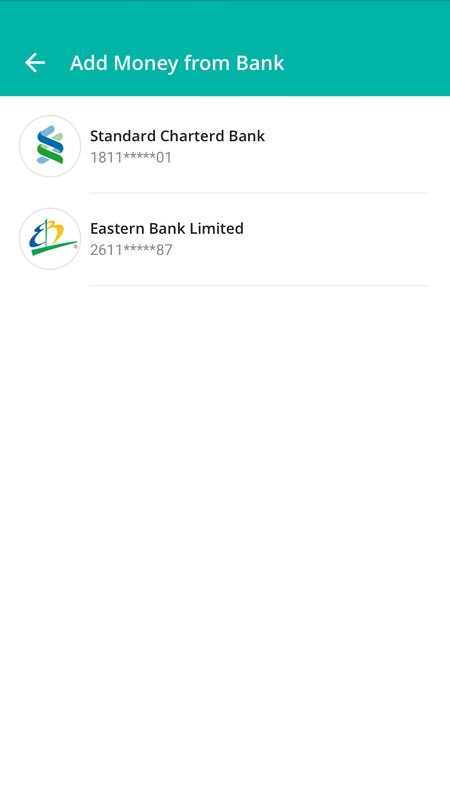 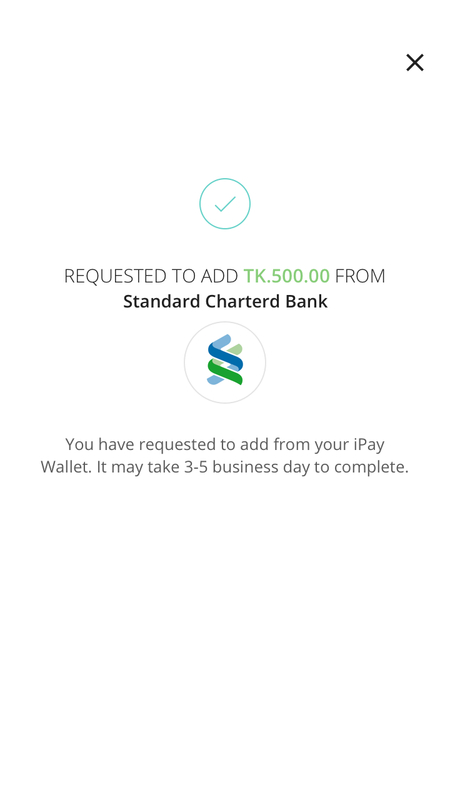 This feature allows to add money to your iPay wallet from your personal bank account which have been linked with your iPay account and you can link your multiple bank accounts. 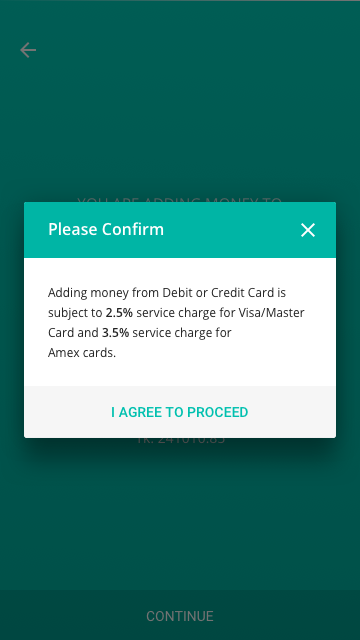 There is no hidden charge for adding money. 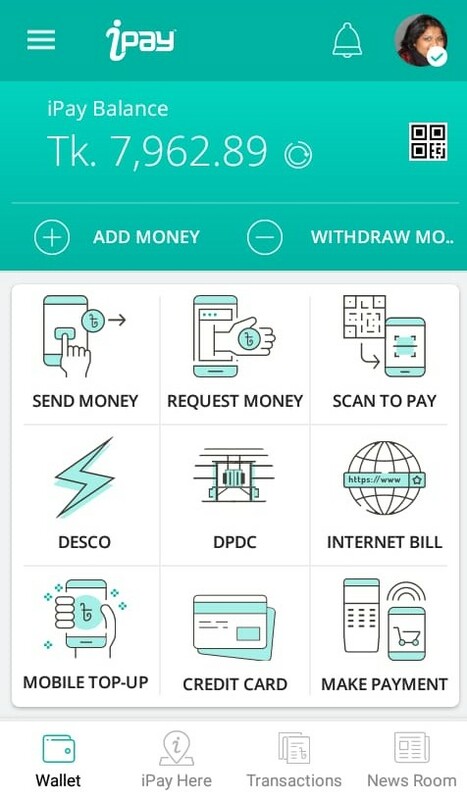 If you want instant money to your iPay wallet you can add your Debit or credit card which will charge 2.5% on Visa Card and Master card and 3.5 % on Amex card. 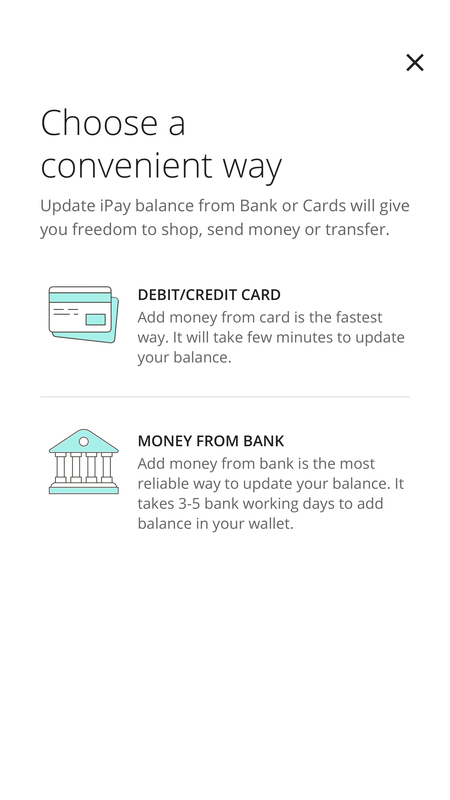 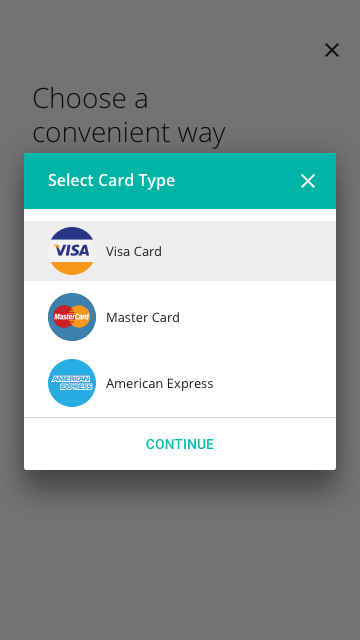 Tap on "+ Add Money"
Choose Your “Debit/ Credit Card"
Your desired amount of money has been added instantly to your iPay account!